Gold futures edged lower in Asian hours on Thursday, although uncertainty ahead of the French presidential elections and Britain’s parliamentary vote limited losses. 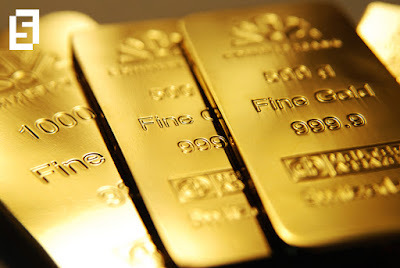 On the Comex division of the New York Mercantile Exchange, gold for June delivery was down 0.17 percent to trade at $1281.20 a troy ounce as of 06:55 GMT. The yellow metal settled lower on Wednesday as the US dollar rebounded, putting demand for safe havens under pressure, regardless of the political crisis between the US and North Korea. Bullion moved away from five-month peaks after Treasury Secretary Steven Mnuchin said the new administration is expecting no advancement on the tax reform by August. Mnuchin reassured that while the reform is still planned, the government prioritizes the healthcare bill. Kim Jong-Un’s communist regime announced that it would continue with missile tests on weekly, monthly and yearly basis, increasing tensions in the Korean peninsula. Yesterday, the British parliament gave green light to PM Theresa May to call an early election. The leader is looking for wider political support ahead of Brexit negotiations. Fed funds tracked by CME Group’s FedWatch program are currently pricing in around 40 percent chances of a June interest rate hike by the Federal Reserve, down from almost 60 percent last week. The precious metal is sensitive to interest rates moves, as they lift the opportunity cost of holding non-yielding assets such as gold, while making it less competitive for investors. Oil prices remained in green territory Thursday early trading as disappointing stockpiles hit hard benchmarks overnight, pushing investors to reopen long positions. US West Texas Intermediate oil futures traded at $51.15 a barrel on the New York Mercantile Exchange, up 0.59 percent from its prior settlement. The international Brent crude oil futures soared 0.68 percent to trade at $53.29 a barrel as of 06:55 GMT. Crude benchmarks settled almost 4 percent lower on Wednesday after the US Energy Information Administration reported a smaller-than-expected decline in reserves. According to the latest report, crude inventories dropped by 1.034 million barrels in the week ended April 12, against expectations for a 1.470 million reduction. Bearish data increased speculation that rising US shale production could derail OPEC-led efforts to rebalance supply levels and prompt up crude prices. Gasoline stockpiles increased by 1.542 million barrels, while analysts had pointed at a 1.938 million barrels drawdown. Distillate inventories slipped by 1.955 million barrels against an estimated 0.988 million barrels decline. Data took market participants by surprise, as April tends to be associated with the beginning of the summer driving season, which usually translates into largest oil demand. Ahead this week, investors will keep an eye on Friday’s OPEC meeting, with focus on a possible extension of the output cut agreement, and Baker Hughes weekly oil rig count.